A child riding the god Jurōjin’s sacred white deer. On the reverse is a tree tied with a sacred rope, or shimenawa. 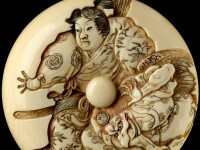 Jurōjin is one of the Shichifukujin or Seven Gods of Good Fortune. 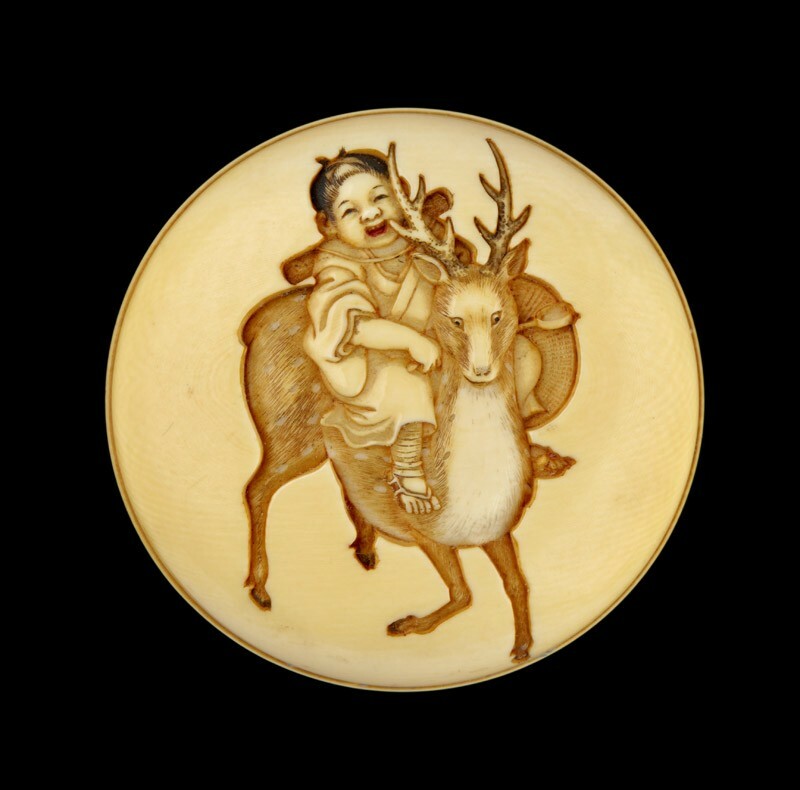 He is depicted as a wise old man and is often accompanied by a 1500-year-old deer; both are symbolic of longevity.